Loved this book. I didn’t mind the previous books, but this, WOW!! So, intense and brilliant. Loved everything about it. It was great to see a broader range of this world, and more characters to fall in love with. And talking about characters that I loved, Aedion and Rowan, and let’s not forget Manon and her Thirteen. Is there any way I can join this awesome group…? I was sad every time their chapter would end, and I had to wait to see what else they were up to. Things are getting intense, so I don’t want to spend any more time reviewing and start reading Queen of Shadows. 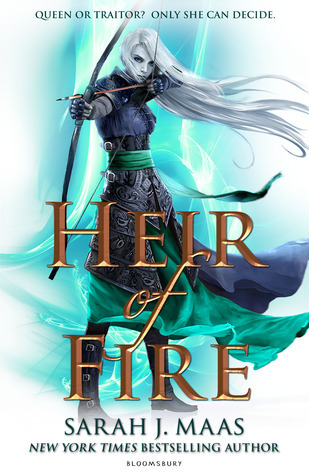 Hopefully it’s as great, even better if that’s possible, then Heir of Fire.